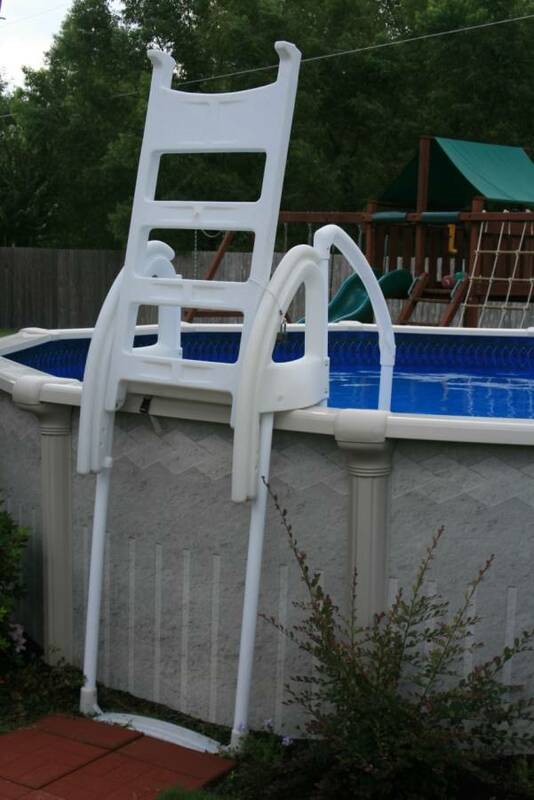 GET IN & OUT OF YOUR POOL THE EASY WAY! This rugged high quality step combines easy function with good looks! 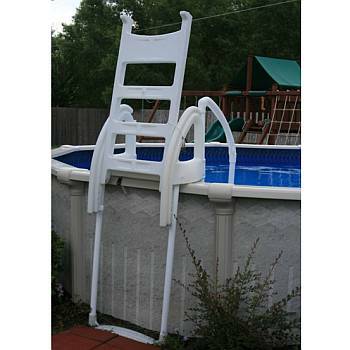 Durable slip-resistant polyethylene construction withstands heavy use and the sun's harmful rays. Unique "wedding cake" design provides a wide angle for entry and exit from the pool. 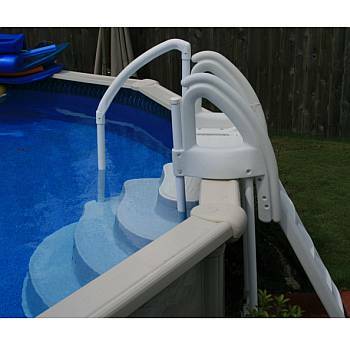 The sturdy handle and graceful curves of this step make it a beautiful addition to any pool. The step measures 40' high x 57' wide x 44' deep. 350 lb. capacity. For use on flat bottom pools only. Backed by a 1-year warranty.